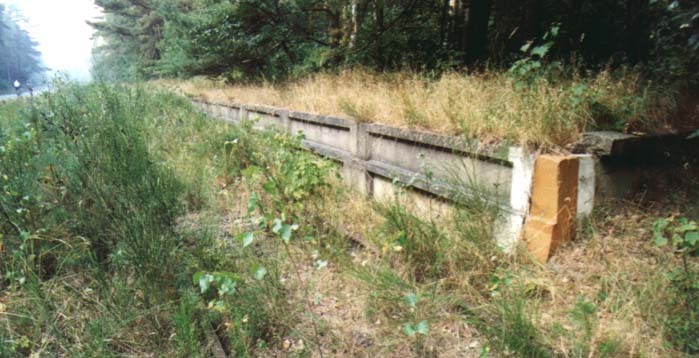 In the forest at the north-eastern corner of Usedom there was the Development Plant East (Werk Ost), at which the A4 rocket was developed and tested. 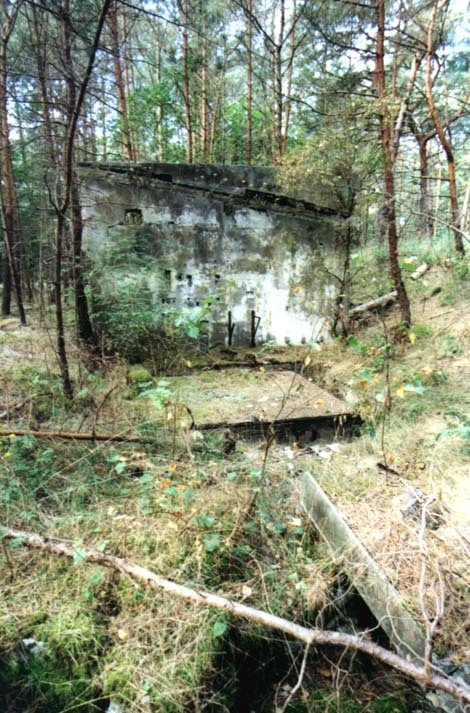 After the war, all facilities were blasted or dismantled. 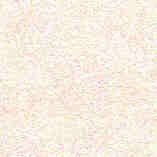 Today you can find concrete fragments and remains of foundations all over the whole area. 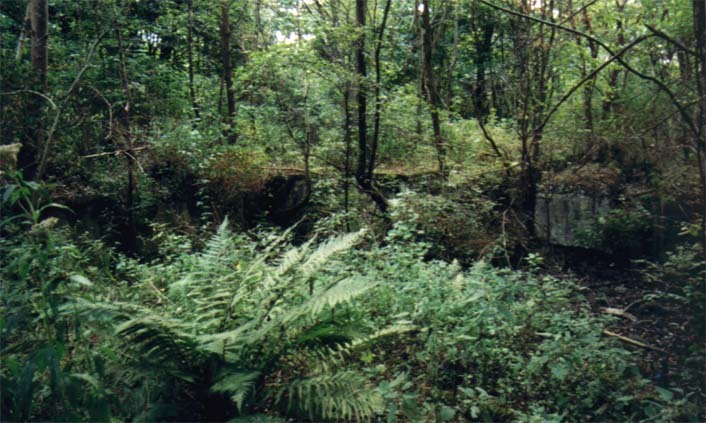 Uncovered foundations of the main guard house, at the junction of the street to the air field..
Remains of the platform of the former railway station "Peenemünde Nord", opposite to the main guard. 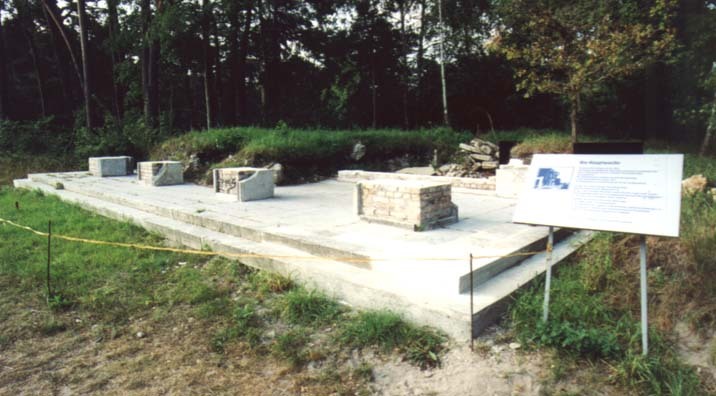 Foundations of the wind tunnel, hidden in the wood. 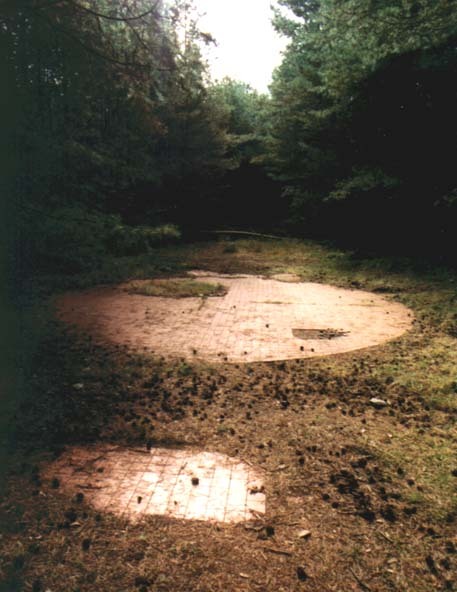 the round floor fragments consist of red tiles.